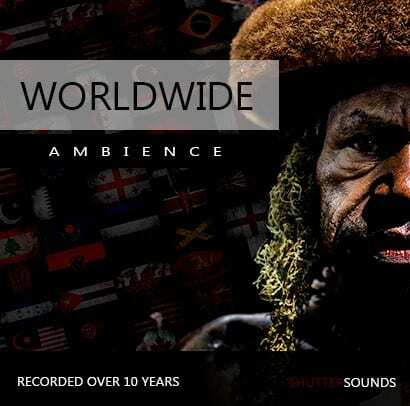 The 'Worldwide Ambience' sound effects library by Freddie Claire is now live on Sonniss. This library contains pretty much every localized ambient background you will ever need in 9.7GB / 611 STERO WAV files. - Recorded over the last 10 years whilst traveling on documentaries across the world. Freddie is one of the most talented sound recordists currently working in British Television and has recorded sound for some of the highest profiling documentaries on T.V. We are proud to have this library on Sonniss. (It took a lot of hard-work convincing him to package this library up + he's always super busy, so it's great to finally have it on the site). Check it out. Get 25% off this library using discount code: FC25OFF at checkout.